As you already know, it’s imperative that you protect your credit card and Social Security number. However, it’s also important that you are equally careful about sharing your private health data. Your best protection against health insurance fraud and scams is being informed. 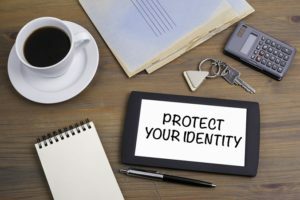 Here are a few things to consider to protect yourself and your private information. Make sure your computer has reputable security software, and it’s up-to-date. Security software can help protect your computer from viruses. Use long passwords on your computer and don’t share them with anyone. Trust your instincts. If an email looks suspicious don’t open it. And, do not open any attachment or click on any links. Don’t give out your private info to anyone who calls or comes to the door to talk about health insurance. Tell them to mail you something and then check it out before you add your private data to the form. Don’t be afraid to ask someone else to review the information as well. No one who is currently on Medicare or has health insurance needs to sign up for a new insurance plan. If someone contacts you, claims to be from the government or Medicare and asks you to pay for a new ID card, it is a scam. Don’t believe people who say they are “government workers” checking your health information so they can “update” it. No such workers exist. If you need to change your information, call your insurance provider. Review your health plan’s online claims record frequently, even if you haven’t been to the doctor lately, to be sure that claims aren’t made for treatment you didn’t receive.